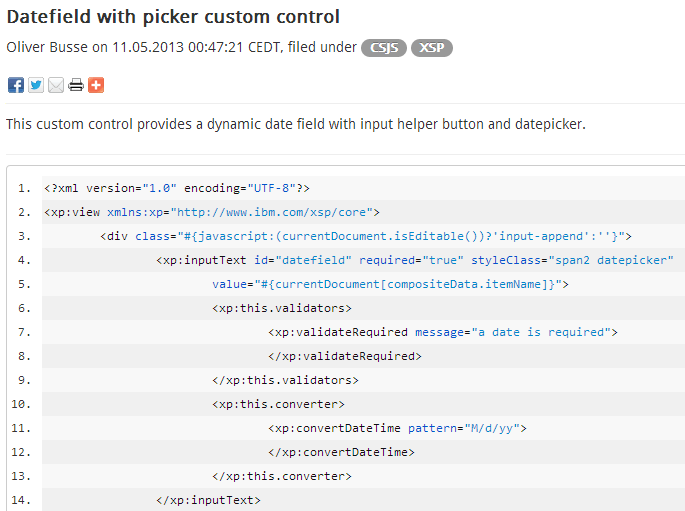 As part of the XPages development contest sponsored by WebGate Consulting AG which is part of the Appathon sponsored by IBM developerWorks, Oliver Busse has contributed a project called OSnippets Template. The application can be used by developers to easily share code snippets and publish blog entries. The application uses the Twitter Bootstrap framework. You can try a live version of the application or watch the video to see the app in action.